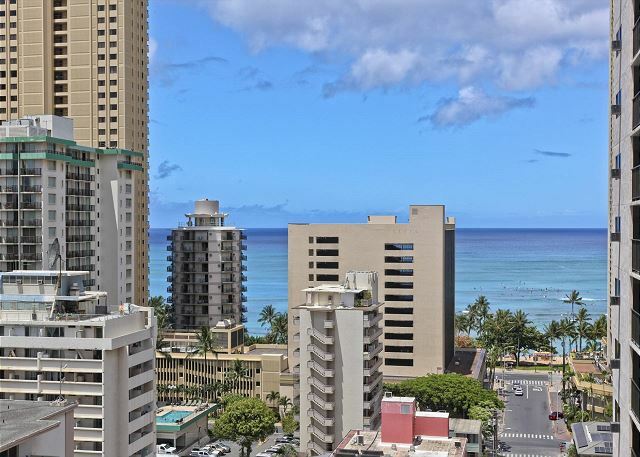 Waikiki Park Heights #1511 - Ocean View! A/C, WiFi, 5 min. walk to beach. 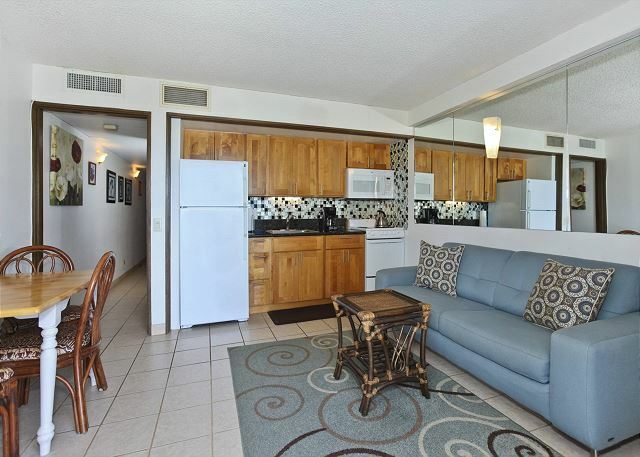 Enjoy the comforts of home in this centrally air-conditioned ocean-view one-bedroom (488 sq.ft. 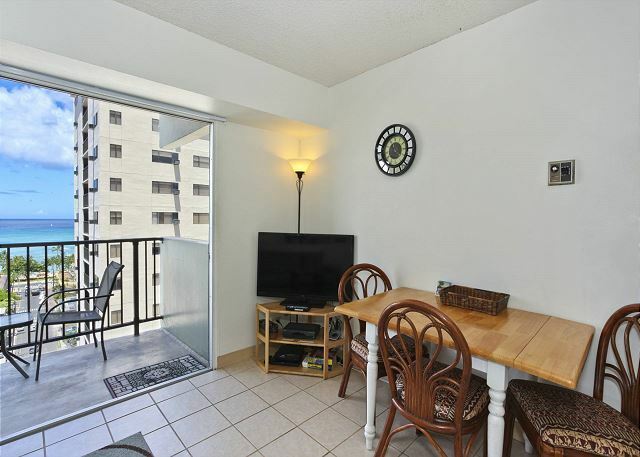 plus balcony/lanai with table and chairs)! Sorry, no pets. This non-smoking accommodation sleeps 3 adults or 2 adults + 2 small children. Excellent location. We arrived early evening after a full day of flying had a delay in our check in. Once in condo it was nice. Clean and well equipped but dated. We also had another condo in the same building which was much more comfortable and updated so we ate and spent most of our time there. Bed wasn’t very comfortable. Overall if a few improvements were done it would be a prefect option. Location and view are beautiful. Aloha and thank you for sharing your comments about your recent stay. 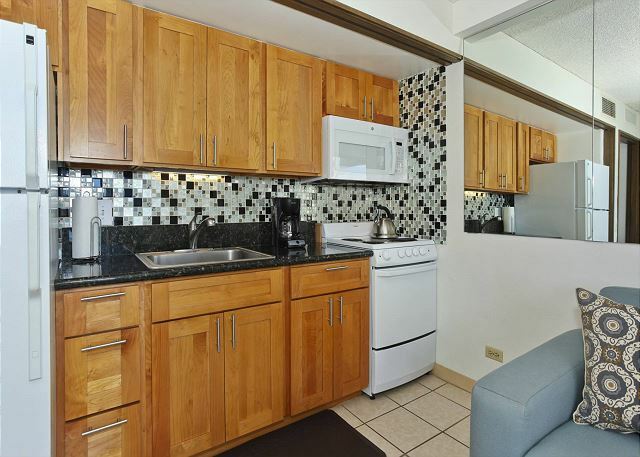 We are delighted that you appreciated the excellent location of this great condo. This condo was updated just a few years ago. We understand that decor and mattress firmness is a personal preference, and we are sorry you didn't find it as comfortable as you would like. 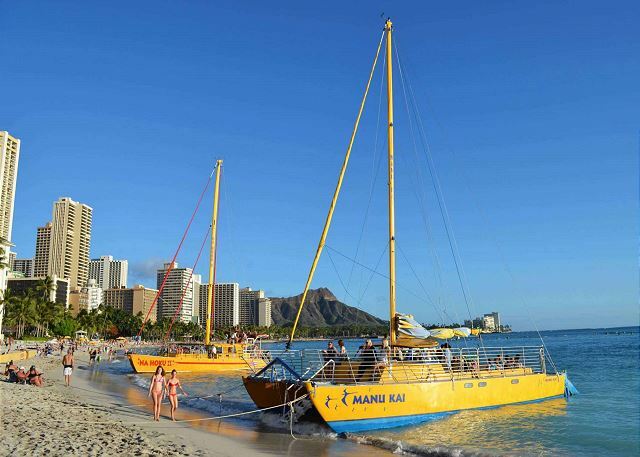 I will pass your feedback on to the team and we look forward to your next visit to Waikiki! 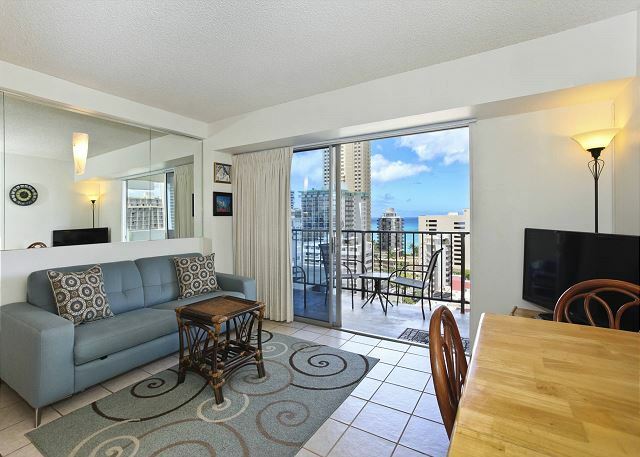 My wife and I enjoyed the fantastic location downtown with easy walking distance to all venues, and view of Waikiki Beach. It looked like the picture, it was nice and airy, It exceed my hopes for a nice vacation. The property was clean well managed and the staff was very helpful, couldn't ask for anything more. Aloha! Congratulations on your wedding anniversary! Thanks so much for leaving such a great review. Happy to have provided all of the needs you required for a wonderful vacation! It's what we're here for! Hope you can enjoy a return trip to our beautiful islands soon! My friend and I really enjoyed staying at this property. The location was excellent; the condo was really clean and very well-equipped with everything we needed while on vacation. The people we dealt with were all friendly, helpful and easy to deal with. I loved the fact there was a view of the ocean, even though it was a couple of blocks off the beach. Overall it was a very pleasant stay. 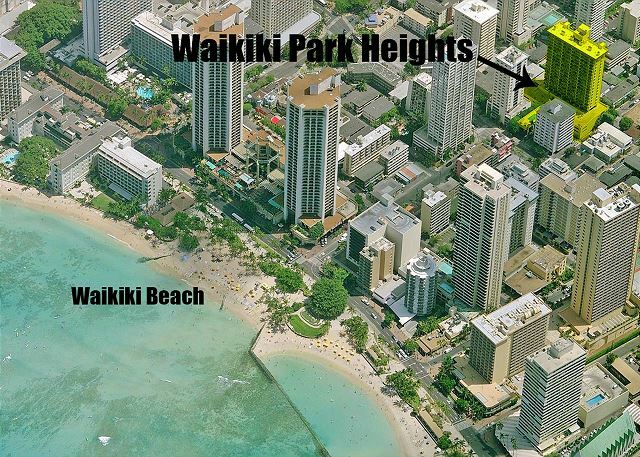 I definitely wouldn't hesitate to stay there next time I visit Waikiki. 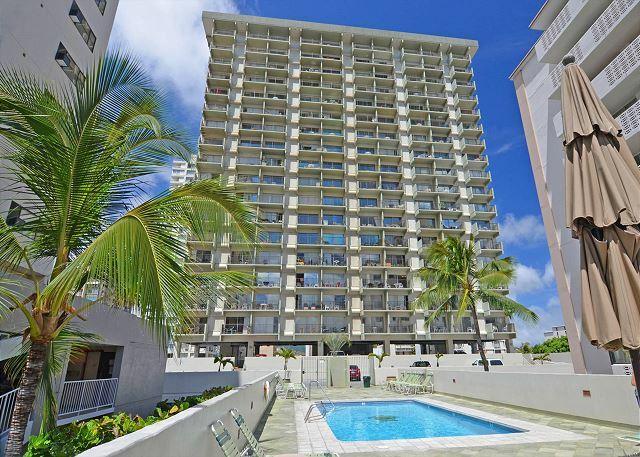 Mahalo, for taking the time to share your recent experience at Waikiki Park Heights 1511! It's always great to get this kind of feedback - we're so glad you enjoyed your stay! 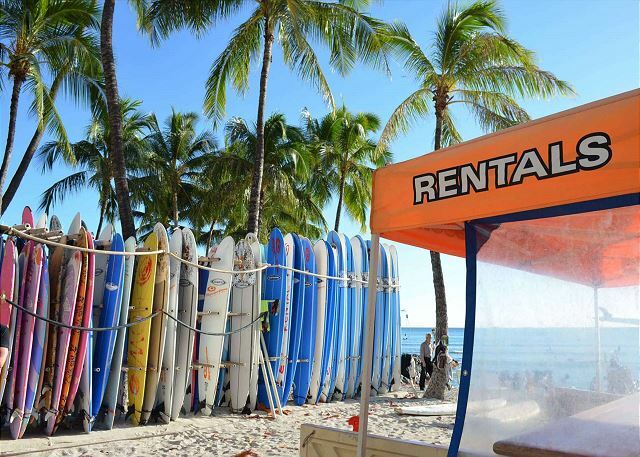 We will pass your feedback on to the team and we look forward to your next visit to Waikiki! 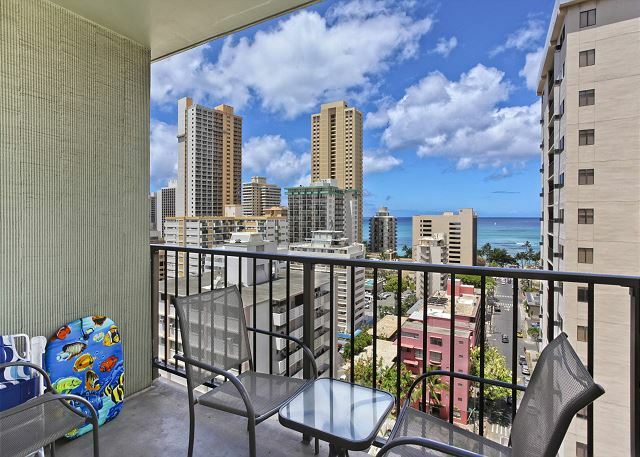 Lovely well maintained apartment only short walk to beach, shops & bus stop.Enjoyed breakfast on balcony with view of Waikiki beach. Head of security was very helpful with tuning in TV. All staff very friendly. Really appreciated the early check in we were able to have as we contacted the property manager as soon as we arrived at the airport. Would have appreciated a couple of brochures/street map about attractions & how to get there.Otherwise a most enjoyable stay.Highly recommended. Mahalo for the positive comments and 5 star recommendation! 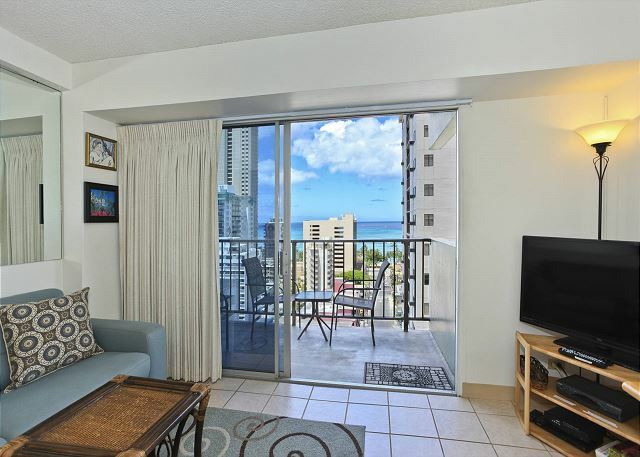 We are pleased that you appreciated the location and beautiful ocean views of this fabulous condo. For you next visit please download our Captain Cook Resorts APP which provides all of the visitor information you would need. We look forward to seeing you on your next visit! This was our 2nd stay in the building (1st time was a different unit). 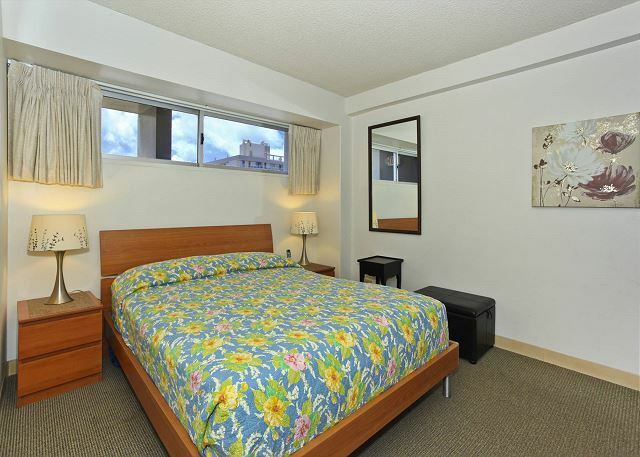 Prime location, you can easily walk to all of Waikiki's attractions. Loved the views from the lanai. Kitchen area is very small but adequate for preparing light meals. 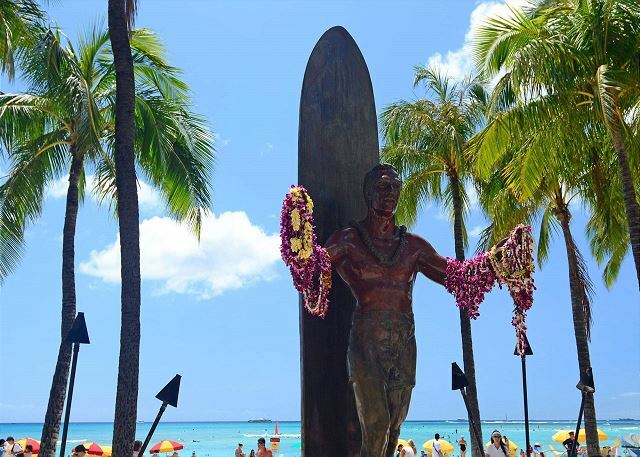 Aloha and thank you for posting a great review of your recent stay. We appreciate your repeat business and we're so glad you enjoyed your stay. 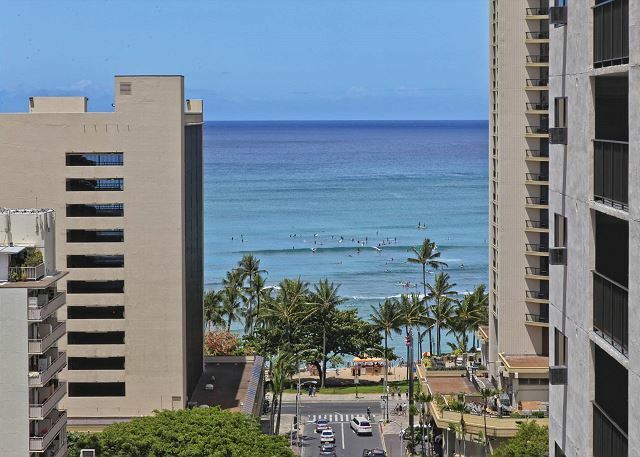 We are pleased that you took advantage of the location and views of this fabulous condo! We look forward to seeing you on your next visit! Had a great experience with two of my other mates during our stay. Barbara was easy to contact and did really well to accommodate some of our needs and questions. Highly recommend this place and would definitely be back. Mahalo, for the wonderful 5 star review! We appreciate the feedback and will look forward to your next visit! 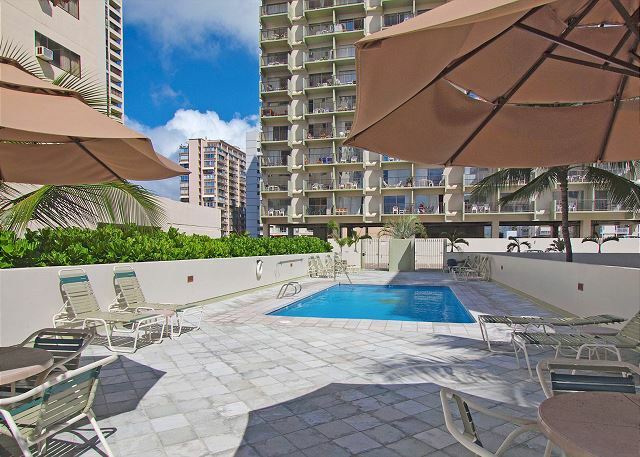 We have stayed in various condos in Waikiki Heights throughout the past 10 years and have never been disappointed. 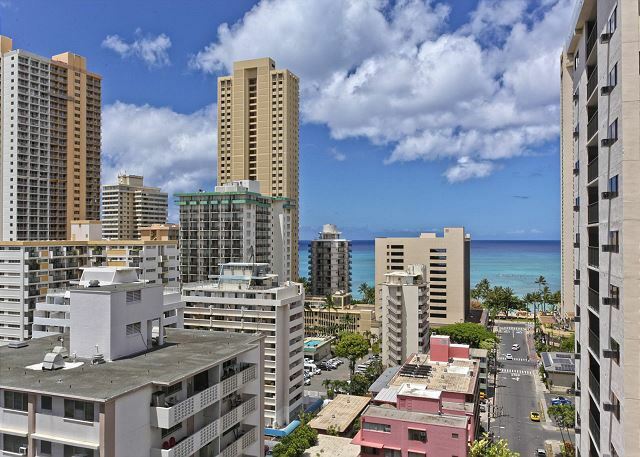 The location is close to Waikiki Beach, downtown Waikiki for shopping, restaurants, groceries, farmers markets, etc. The condos have always been clean, well-equipped and the view is great. Barbara has been most helpful. Thanks again. Mahalo for the 5-star review, Doug & Merle! So glad to hear you enjoyed your stay in this great condo! We look forward to your next visit! Had a great time. Rental property was very nice. Mahalo for taking the time to post a review and recommendation! We hope you’re able to return for another visit soon! Apartment in excellent location had everything we needed including a great view of the water and Barbara was very accommodating. We’re happy to hear you had a most enjoyable stay and we look forward to your next visit! From check in to check out this place was perfect. Great location, beautiful view and a great value for the money. I would recommend this condo. Secure property!! We were able to check in early and check out late! Thanks to Barbara for making this happen for us. Mahalo for the great review, Traci! We hope you can plan a return visit soon! Bus stop just 1 minute walk outside of the condo takes you to everywhere (shopping centre, zoo...etc). Close walk to the beach. 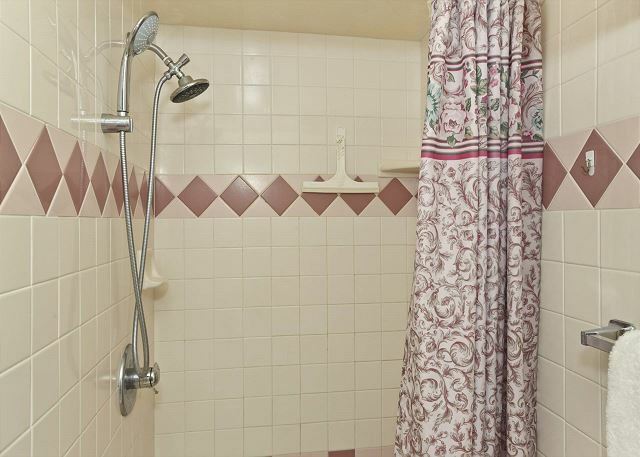 The apartment comes with everything required (an over abundance of towels, toilet paper, tissues...etc). The room at the back was quiet enough with only random noises from other tenants on the floor when they're waiting for the lift. Only one small comment was that we were told to get the security guy downstairs to call the property mgr to let us in when we arrived. The guy had no idea and didn't really want to do it, so we ended up wasting around 15mins before he would call and then another 5-10mins before she came down. 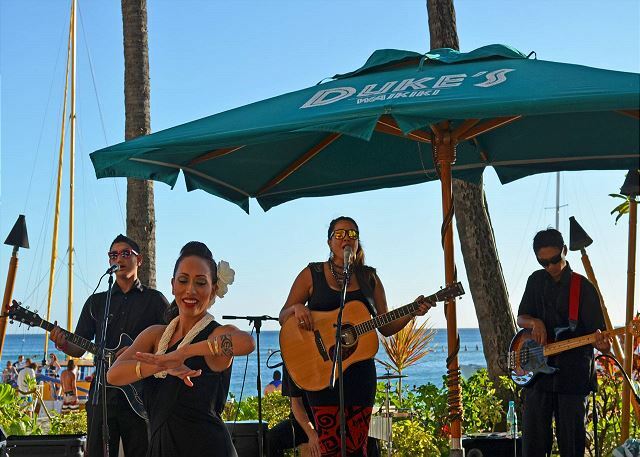 Mahalo for the great review, Queenie! We're glad you enjoyed your stay. This is the first we've heard of the guard not being accommodating to our guests. We sincerely apologize for his lack of "Aloha" and the inconvenience and will look into the situation. Thanks again! 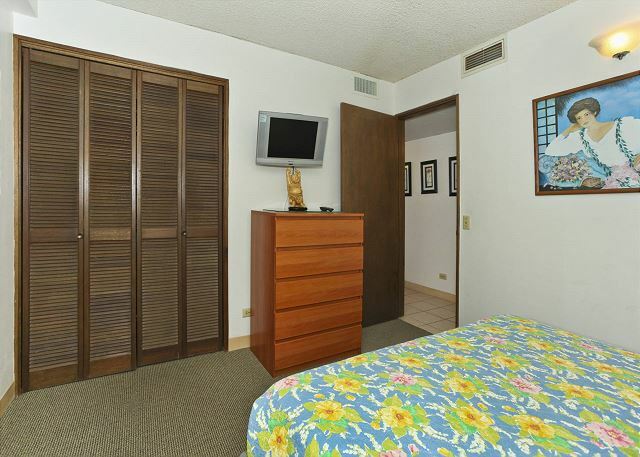 Very happy with the condo, excellent location in the middle of Waikiki, could walk everywhere local. The unit was clean, comfortable and well appointed and we would happily stay again. Mahalo, Brenton! We hope you're able to visit us again soon! Overall, it was okay--I do feel this condo needs a good cleaning--a/c vents are full of dust, the toilet paper roll is filthy and the dish drainer in the kitchen needs a good cleaning. I liked the tile floors, furniture fine but attention to detail is important also. Aloha Lois and thank you for bringing these issues to our attention. We agree that attention to detail is of utmost importance! We hope you will accept our apologies that the cleaning was not up to par. Had you notified the property manager, she would have had Housekeeping back to the unit right away to correct these issues. This is the second time we have stayed in this condo. Love the updated kitchen and bathroom vanity. The layout is good and the location is great. View of the ocean from the lanai is a bonus. Mahalo for the positive comments and recommendation! We look forward to again having you as our guest on your next visit! 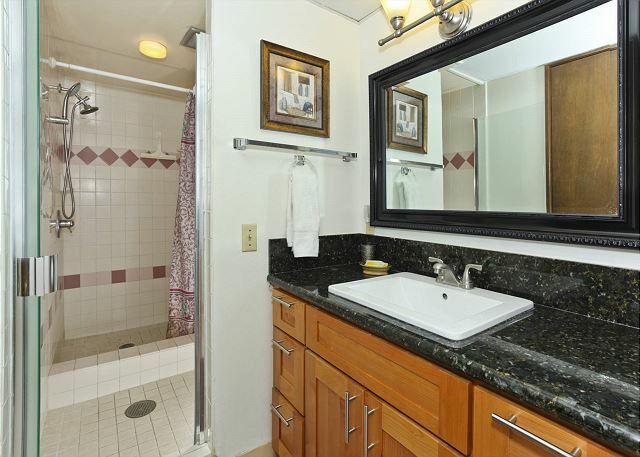 The condo was recently renovated, it was overdue for new a kitchen and bath area. It is very nice now. We are beach people and the two beach chairs we purchased and left there were gone when we returned. We purchased 3 chairs this year and hope they will still be there in 2016. We hope that the rent does not get out of reach for us. Mahalo for the positive comments and recommendation! We're glad you liked the updates. For the most part, wonderful. I might suggest that when staying a month it would be nice to have the bedding changed and the suite cleaned at least once. Mahalo for posting a review of your recent stay. We're glad your stay was "wonderful!" We DO offer a mid-stay cleaning service at a minimal charge. We apologize that you were not made aware of that. We hope to hear from you when you're able to plan your next visit! Thank you for the positive comments and recommendation! We work hard to offer great accommodations and service, and we're glad you enjoyed your stay! We hope you're able to plan a return visit soon! Great view! Quiet, convenience and much more. 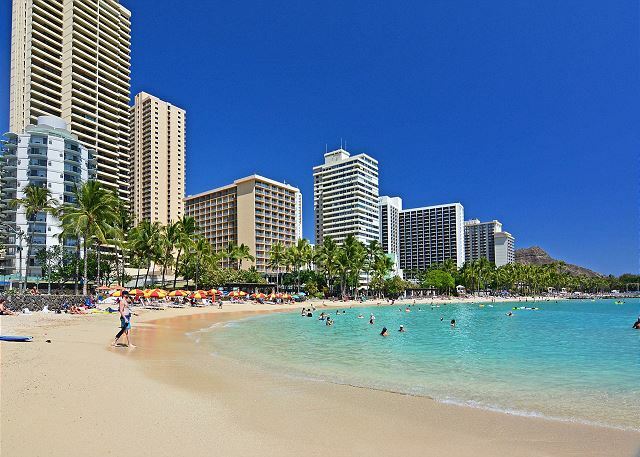 Will book for my Honolulu vocation for sure. Highly recommend with the service from captain cook management. Very happy. When we walked in the place was clean and had everything we needed. The view was great and we enjoyed the new furniture. The neighbours very quiet and the people were friendly. The staff on the main floor were extremely helpful and helpful. Very friendly as well. Great location. Everything about our stay was very good. We just hope that the prices stabalize so we can keep coming back. Had a great vacation and the unit was very clean and insect free!!! Your staff was excellent. I would suggest updating the furniture but overall we all were extremely satisfied with the experience. Would definitely recommend to others. We were able to spend wonderful time!! We would like to stay at this room once again!! overall experience was very good. Our agent was extremely attentative and helpful. Overall a very pleasent holiday. Two maintenance issues which were dealt with after we left, I hope. We think this is a great unit and have already recommended it to three friends. We stayed in apartment #1511. It was a slightly older unit and thats we scored it 4 out of 5 stars. The unit was great, as we stayed nearby last time. The views were spectacular everyday and the staff were fantastic. Security guards are always there to help (24hrs) but never needed...Hawaii is just a family safe area. 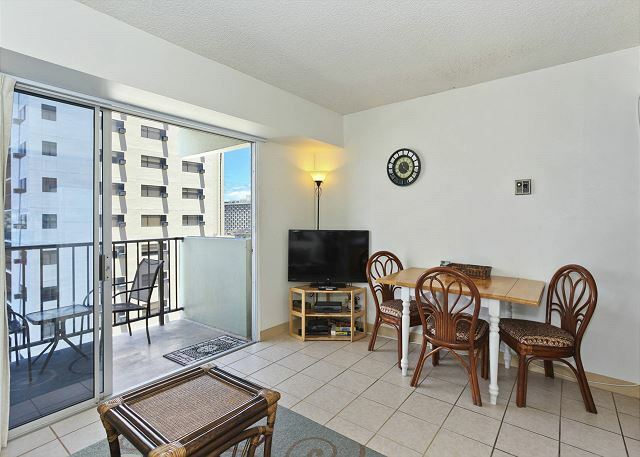 Walking distance to the Zoo and Waikiki beach and just about everything else.Fantastic amenities are provided from Boogie boards, snorkels and even everyday spices in the kitchen, they've just thought about everything, plates , cups bowls, cutlery etc..... The pool is just the best, Secure and CLEAN..The bedroom was spacious with lost of storage and 2 tv's doesnt hurt. We will definately be back to stay. But it does need to provide internet as our freinds staying with us had it in #1206. And for a couple of dollars extra i would stay in a different unit ...it makes all the difference when you need to book your activities.THANK you for a wonderful holiday. everything was good, the only thing was the unit was a little dated. No problem, all went smoothly. quickly. I would recommend this unit and its location to any fellow travelers. 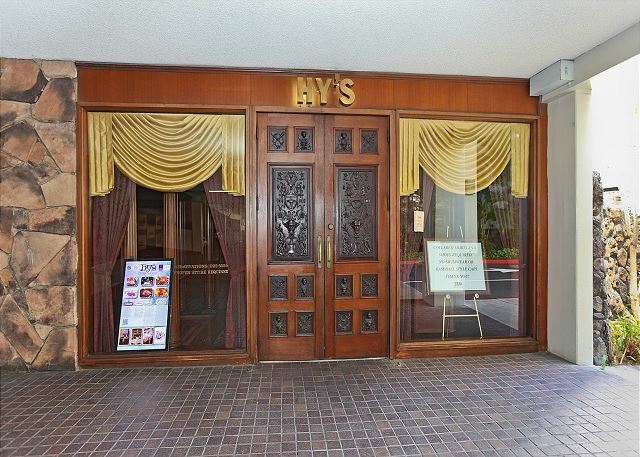 You are located only 2 blocks from the beach and close to the main business strip and eateries. We thought the bed was a bit hard for us. Everything else was great. Excellent view. 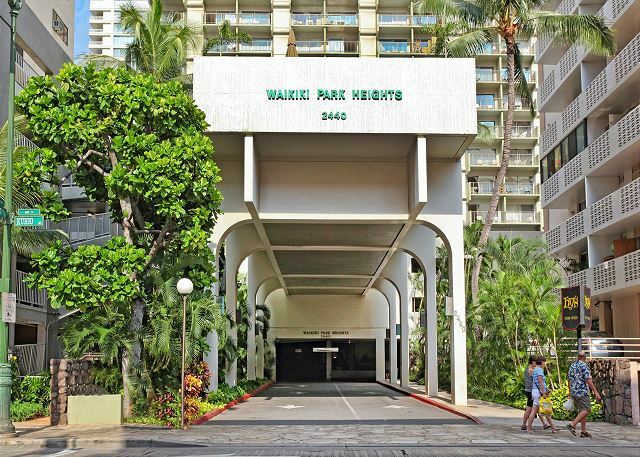 We stayed in 1511 at the Waikiki Park Heights. We had a great condo. great view. We went to the pool everyday and it was nice and clean and not busy at all. The only issue I have is that some of the condo's were doing reno's and they started at 7am instead of 8am when there were suppose to. Also on the 2nd day whenever we went into the toilet area - which is separate from the vanity and shower and had its own door, it smelled like sewer. We scrubbed the toilet but it always came back. slight smell but you smell it - that was the only issue. other than that we had a great condo and would go back. Guests never mentioned the toilet situation; will look into it. This is the second time we have stayed in this building and we love it. It has parking and is close to the beach. Security all the time and the people are friendly and helpful especially Barbara. Good unit with great views and room for improvment. The unit had too many fake plants, loose mats (trip hazards), the linen cupboards were too full and the patio drapes were very heavy but kept the heat out. The bedroom was located in a perfect location for sleeping due to noise reduction. There is no counter space but you can manage. Overall we found the unit very satisfactory with a great view of the ocean and the surrounding areas. We would be happy to return to this unit in the future!!! So glad you enjoyed your stay, we are so sorry about the plants, mats and linen in the cupboards but the owner likes these things. This condo is priced lower than the other condos.